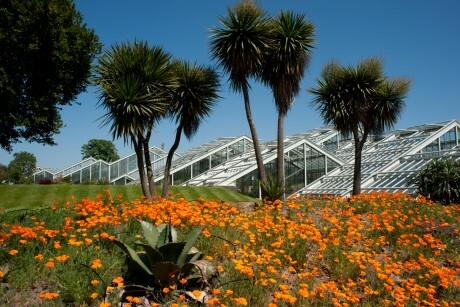 The Royal Botanic Gardens Kew boasts acres of exotic and common plants which can be used to help students extend their learning in subjects including Science, Maths and Geography. The Palm House at Kew Gardens. Credit: RBG Kew. School Travel Organiser takes a look at Kew Gardens’ schools programme which provides inquiry-based learning sessions designed to foster curiosity of the natural world, for Early Years through to Key Stage 5. This session lets children discover the wide variety of plants that grow at Kew Gardens through play and exploration. Students will observe the different shapes, colours and patterns of plants, which can be linked to the Maths curriculum. There are also Literacy, and communication and language benefits to the 45-minute session, which consists of observation, role play and hands-on activities. Students will use their senses to explore the huge number of trees at Kew Gardens, observing their shape, colour, size and texture. Children will also learn about the importance of trees and be taught to identify key types of trees as well as their features. In this 90-minute session, pupils will pretend to be meteorologists as they investigate the weather associated with the different seasons. Particularly focused on the Working Scientifically Science module and the Human and Physical Geography topic in the Key Stage 1 curriculum, the session will look at different aspects of weather such as wind speed, wind direction and temperature. Students will also discover the effect a change in weather patterns has on plants. Once again focusing on the Working Scientifically module of the Key Stage 1 Science curriculum, as well as the Year 2 study on plants, Plant Scientists gets students observing, comparing and sorting a variety of seeds, before learning how plants grow from seeds, and what they need to stay healthy, such as water, light and a suitable temperature. This session can also be adapted to suit Science learning in Key Stage 2. This 45-minute session will take pupils on a multi-sensory journey through time in the gardens and glasshouses of Kew. Students will observe the rainforests and temperate gardens, use this to explore how plants adjust and adapt to different conditions, and learn how this may lead to evolution. The session is targeted towards the Year 6 topic of Evolution and Inheritance. Activities including games and role play will help students learn about pollination and its importance. From discovering what pollination is to why it is necessary, this session will explore the diverse plant life at Kew and get students to discover the importance of pollinators, such as bees, in pollination. Princess of Wales Conservatory at Kew Gardens. Credit: RBG Kew. With direct links to the Biology and Geography curriculum, this session aims to give Key Stage 3 students an insight into the rainforest ecosystem. Students will look at the different plants of the rainforest and investigate how they have adapted to the environment. The conservation challenges currently being faced in the rainforest and the impact of human activity on the environment are also looked at. 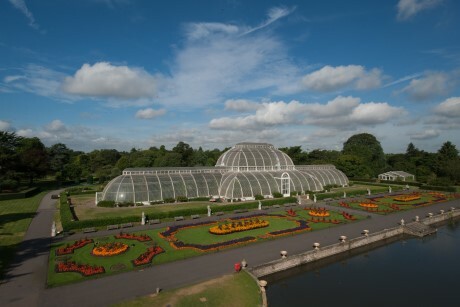 The session will take place in the Palm House at Kew. Students will consider how rising temperatures, changes in weather patterns, and the prevalence of pests and diseases, which are occurring as a result of climate change, impact agricultural productivity and threaten global food security. Pupils will act as Kew scientists as they use DNA experimental techniques to investigate how future food security can be safeguarded. The Key Stage 4 programme is currently being redesigned to strengthen its links with the new National Curriculum. It is due to be launched later this year. This Key Stage 5 workshop looks at the physiological adaptations which allow plants to survive in a variety of environments. Pupils will look at how plants in arid environments use water retention strategies and anti-predation mechanisms to survive, whilst learning how plants living in damp and dark environments adapt to cope with the conditions. The session is available for either 45 or 90-minutes. Available from February to November, the Field Studies in Ecology session looks at different field study techniques in biological sampling, such as pond dipping, grass sweeping and tree beating. Students will learn how to determine which is the best method to use, will get the chance to practice the skills and will learn how to analyse and display the data they have collected. The session takes place in Kew’s Conservation Area and is available for a maximum of 15 students at a time. For more information visit www.kew.org/visit-kew-gardens/schools/programmes.